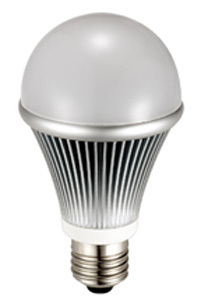 LED lighting can save you up to 80% of your energy consumption. Generating very low amounts of heat allows this superior lighting method to operate extremely efficiently by transferring nearly all of the consumed energy into light. LED lights produce far more lumens per watt than compact fluorescent bulbs (CFL) and they are environmentally friendly. While the average Return on Investment (ROI) varies with each customer’s operating parameters, many scenarios can generate paybacks in as little as 12 months. Removal of troublesome ballasts from fixtures can eliminate maintenance headaches while generating even further electrical savings. Less wattage consumed per lamp. Reduced Replacement costs of lamps due to long LED lamp life. Elimination of ballast, associated labor and waste disposal costs. Reduction of inventory costs through lamp life expectancy and just-in-time logistics. Exceptional quality of light, which is directional and available in choice of warm or cool colors. Colors can also be made to order. 25-30 degrees cooler operating temperatures over fluorescents which will reduce HVAC costs.